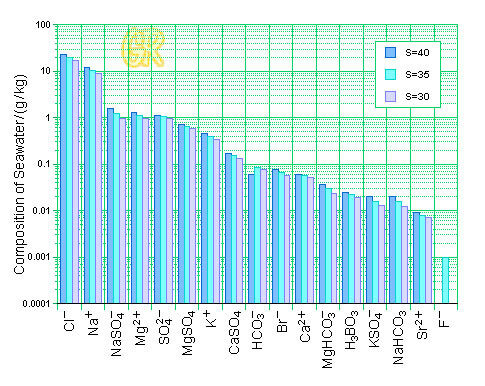 Thus when K=1, S=35 exactly. 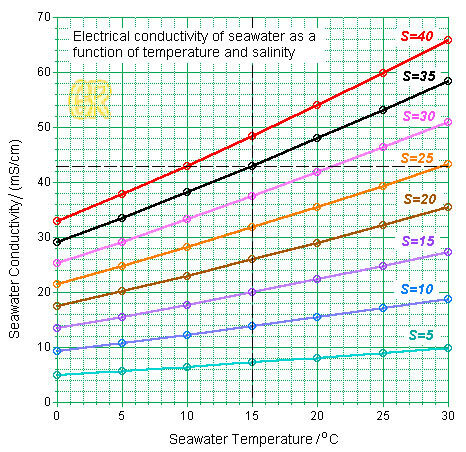 Here we see the practical side of the above salinity definition: the value of S is roughly equal with the mass of dissolved compounds, expressed in grams per kilogram of seawater, while the definition in terms of electrical conductivity allows meaningful measurements. 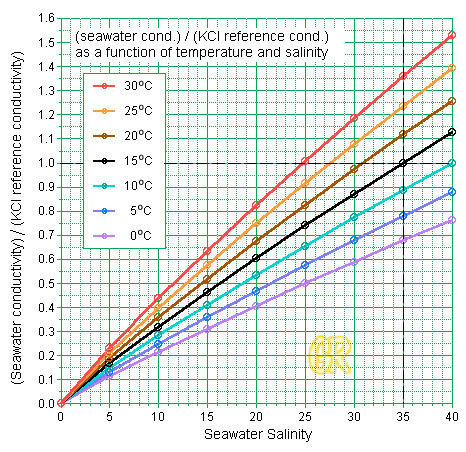 Salinity values in the open oceans at mid latitudes typically fall between 34 and 36.